Today we remember the life and time of our very own Chief Mrs. Olutoyin Olusola Olakunri, a legend in accounting and finance profession. Her contribution to the growth of Accounting in Nigeria and Africa will never be forgotten. Chief Mrs. Olutoyin Olusola Olakunri, A Chartered Accountant, Industry Captain & Administrator was born on November 4, 1937. She attended her elementary school in Nigeria and then relocated to the United Kingdom where she finished her secondary tertiary institution. 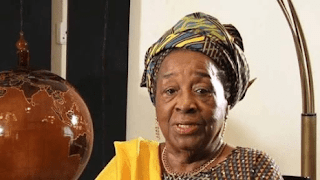 In February 1963, Mrs. Olakunri became qualified as a member of the Institute of Chartered Accountants of England & Wales, and also became a Foundation Member the Institute of Chartered Accountants of Nigeria [ICAN] in 1965 when she came back to Nigeria. Chief Mrs Olutoyin Olakunri is the first female Chartered Accountant in Sub-Saharan Africa and the second female President of Institute of Chartered Accountants of Nigeria (ICAN). Till date, ICAN has only produced six female heads and quite a number of eligible women in line. 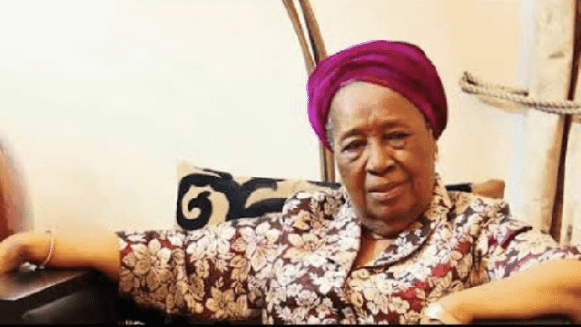 In 1978, Chief Mrs. Olakunri became the Chief Promoter of the Society of Women Accountants in Nigeria [SWAN], which she served as Chairman for over 10 years. SWAN has backed women to realize their potentials in the fields of accountancy, mathematics, finance and Economics. Mrs Olutoyin Olakunri worked with Casselton Elliot & Co. as a Chartered Accountant and also for the then Nigerian Industrial Development Bank [NIDB], among others. She later took a courageous leap into entrepreneurship & corporate management — becoming owner and manager of an industrial outfits and venturing into stock broking. She was the first female President of the Institute of Directors [Nigeria], former member of the National Revenue Mobilization Allocation & Fiscal Policy Commission, Vision 20: 2020 Committee member, & Council of the Nigerian Stock Exchange, Chief Mrs Olakunri was nominated as a member of the Constituent Assembly that generated the Constitution of the Federal Republic of Nigeria in 1979. Furthermore, she was a board member of the Finance Committee of Nigeria Institute of International Affairs (NIIA), and for 8 years on the Board of Nigeria Liquefied Natural Gas Limited, Chairman of the then Education Trust Fund [which was renamed to Tertiary Education Fund] for two terms, she has variously served on the Council of Federal University of Ado- Ekiti, Redeemer’s University, Bells University of Technology, & Achievers’ University. Chief Mrs Olutoyin Olakunri is recognized both internationally and locally for her numerous contributions to the professions and development of the society. Some of the honours are: Officer of the Federal Republic [OFR] of Nigeria, The African Leadership Forum Foundation for Distinguished Contribution to Women Empowerment in Nigeria, International Women Society for Meritorious Services to the Community, ICAN Merit Award for the growth and development of the Accountancy Profession, University of Lagos Law Society for Contributions to the upliftment of Women in the Nigeria, Nigerian Library Association Award for Excellence Services Award, she also bagged a Honorary Doctorate Degrees in Business administration from University of Ado- Ekiti, Lagos State University [the Sciences], and University of Nigeria, Nsukka, She was also awarded Chieftaincy Title Awards by communities in Owo, Ijebu- Ode, Abeokuta and Ijero- Ekiti.